According to new figures released by United Nation the world will have nearly three billion internet users and seven billion mobile-cellular subscriptions by the end of 2014. Two-third of this internet population will be from the developing countries and the 3.6 billion of the mobile-cellular subscriptions will be in the Asia-Pacific region. The report by the UN’s International Telecommunications Union (ITU) said 44% of the world’s households will have internet access by end of 2014. As per the estimations almost 31% households in developing countries will be connected to the internet, compared with 78 per cent in developed countries. 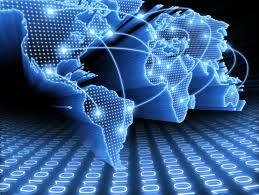 The report also revealed that household internet access is approaching saturation levels in developed countries. The ITU report said Internet users are expected to hit three billion by the end of 2014, which accounts for about 40 per cent of the world’s population. Among those users, over three quarters are from developed countries while two-thirds come from the developing world.